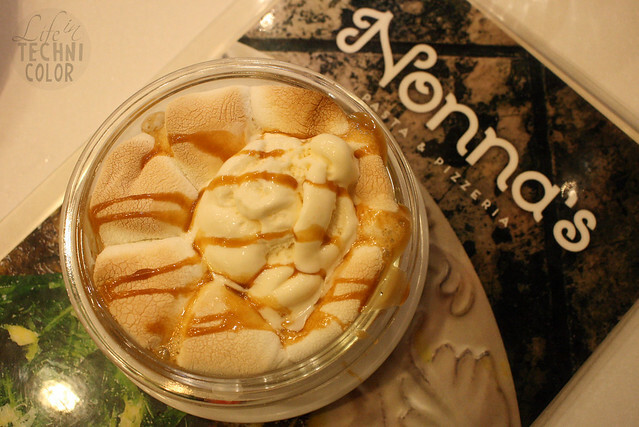 Nonna is Italian for grandmother. She is the quirky, hip grandmother who prepares THE best dishes just for her granddaughters and sons to eat! This is the feeling you get when you dine at Nonna's. 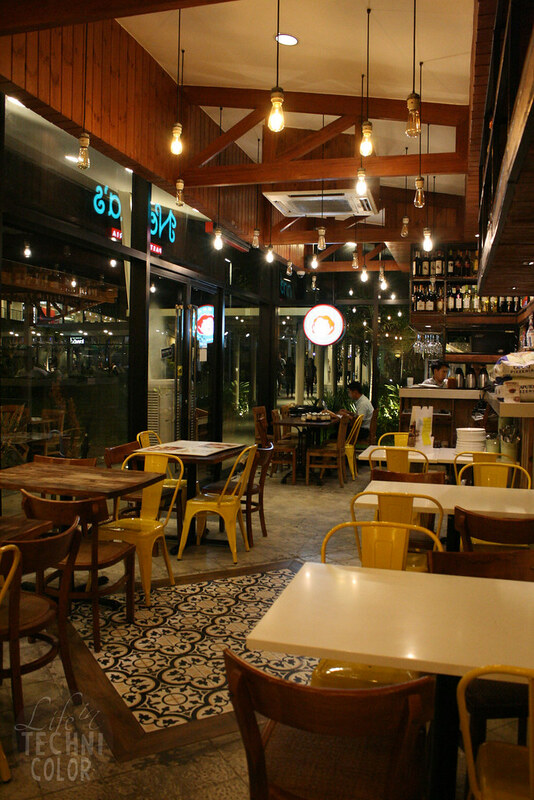 It opened last December in Solenad 3 and basically, it's a fresher take on Mama Lou's (yes, it's owned by David and Crystal Sison as well). "We serve fresh pasta. We make our pasta everyday using double zero flour, egg yolks, semolina flour, and olive oil. 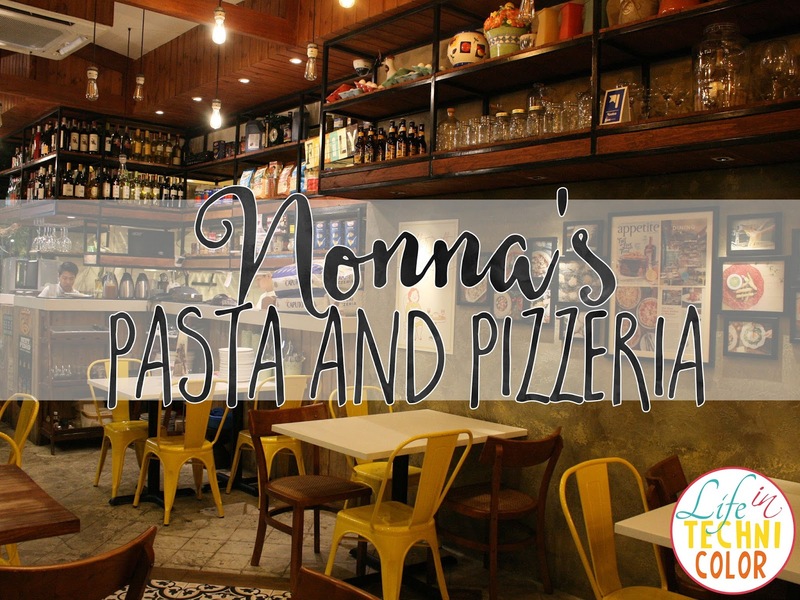 Nonna's is something to challenge ourselves to create something amazing but also complementing Mama Lou's. Most of the items are inspired by the fresh ingredients we get from the local farmers," says David. 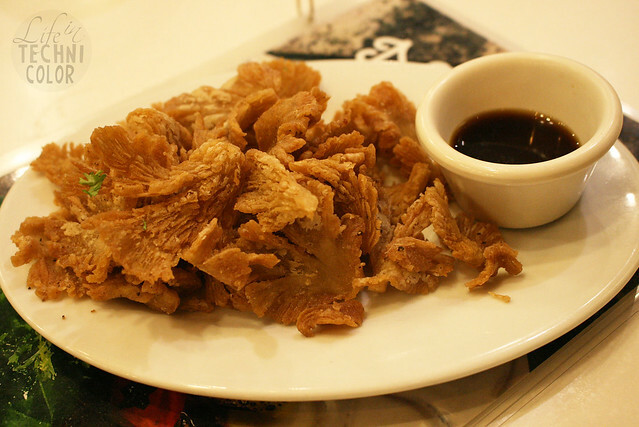 We started off with the Mushroom Chicharon (P160). Recently, I discovered how to grow my own oyster mushrooms thanks to the Gourmet Mushrooms Growing Kit from Pot Hed Inc. Never in a million years would I have thought to make it into chicharon! 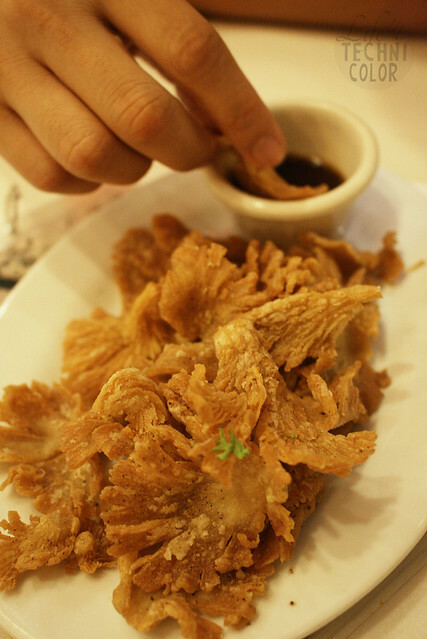 It's a thinner and healthier alternative to pork chicharon, so what's not to like! You still get that crisp, and the dipping sauce is slightly similar. 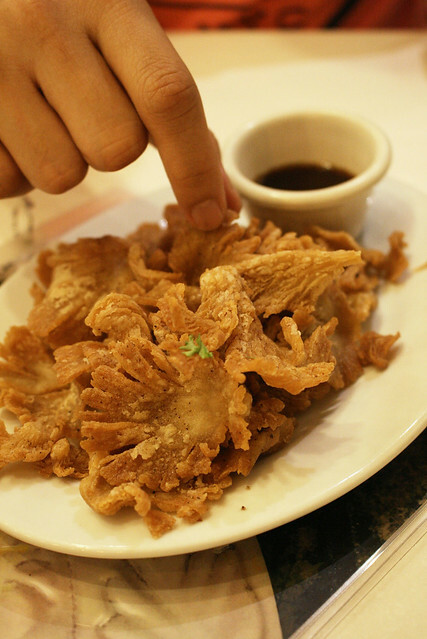 Instead of using vinegar, their fresh oyster mushrooms are served with vinaigrette. For the pizza, we ordered the Spinach and Goat's Cheese Pizza (P365). 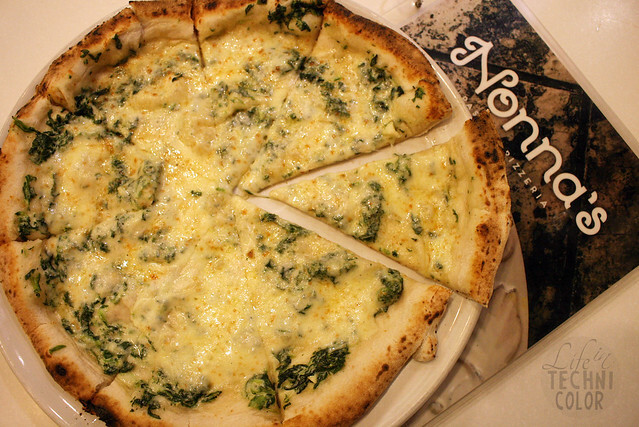 It has an alfredo sauce base topped with creamed spinach and goat's cheese. What makes this different is the cheese used. Goat's cheese has a very distinct flavor that you either like or you don't. Aside from that, Nonna's makes use of honey chili for their pizza dishes. I don't think I've encountered any pizzeria that has that. "In one of my visits to Naples, I experienced one amazing quttro formaggio pizza at this trattoria thay has truffle honey on top of it. We were experimenting on adding truffle honey for Nonna's, but decid on making it spicy honey instead since truffle may not work well for all our flavors. We are innovating new ways on how to add flavorful honeys to our pizza." 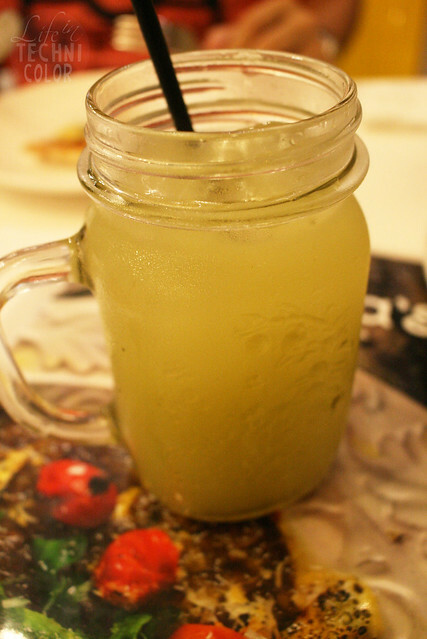 Whenever I eat out, I usually just settle with water, but from my experience with Mama Lou's, the drinks offered are not the usual kind. Tim and I were very happy with our drink orders (most especially the lemonade). It is a great thirstquencher after our long drive from Manila. The Vesuvio makes for a good conversation starter. 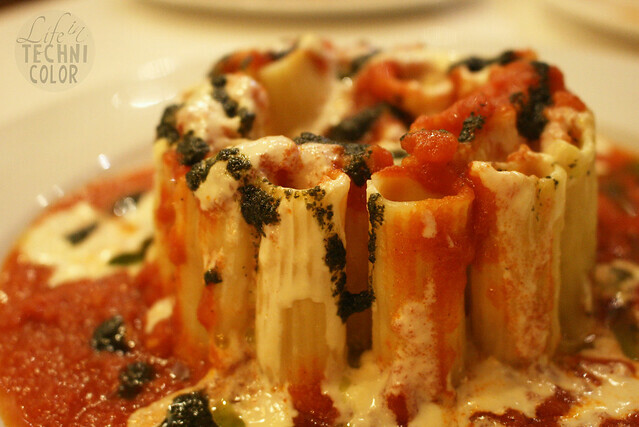 It's unlike any pasta dish since the rigatoni is served standing up. It's like a fort of some sort, with the treasures safely stored at the very center. 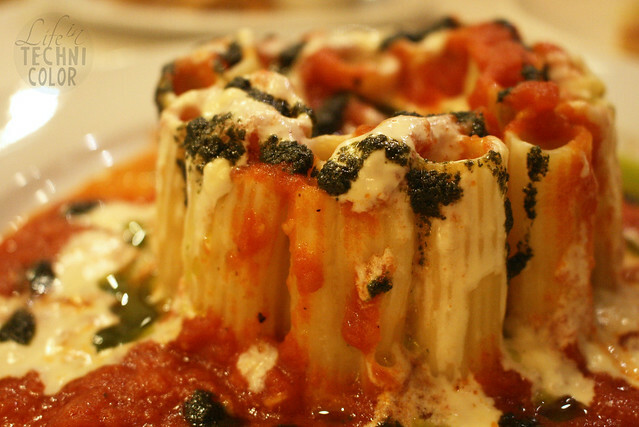 "Vesuvio is a dish inspired by one of my visits to Rome. Vesuvio is the Mt. Vesuvius. What I love about this dish is the technique used to make the rigatoni into a mountain. Inside of the rigatoni are ricotta cheese with fresh peas. We also add Italian meatballs and egg. 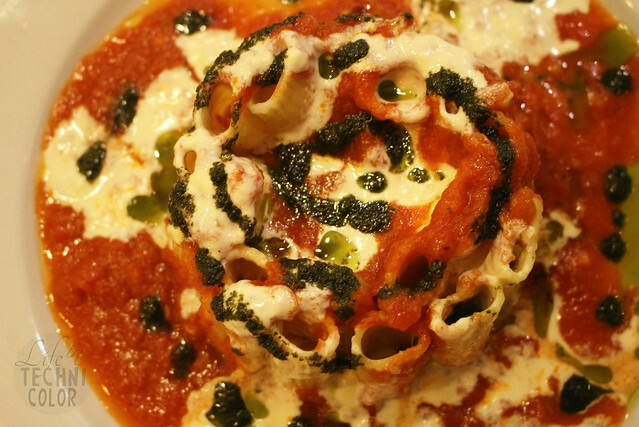 It is topped with what I'd like to call the 'holy trinity' of sauces - pomodoro, pesto, and alfredo - which resembles lava." I could've finished this entire thing, if only I wasn't so full. 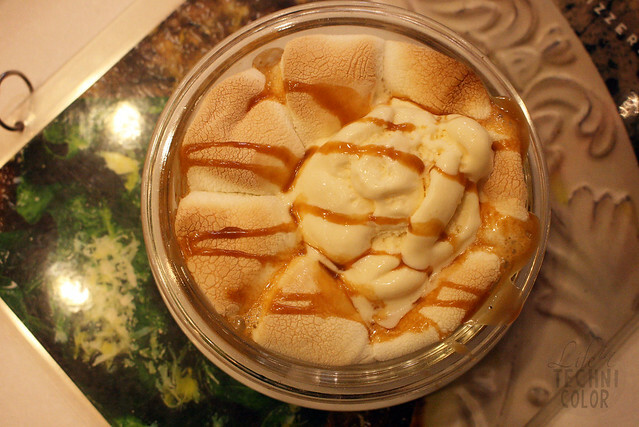 The Pizzaockie is a moist and delish fresh out of the oven cookie topped with ice cream and mallows. 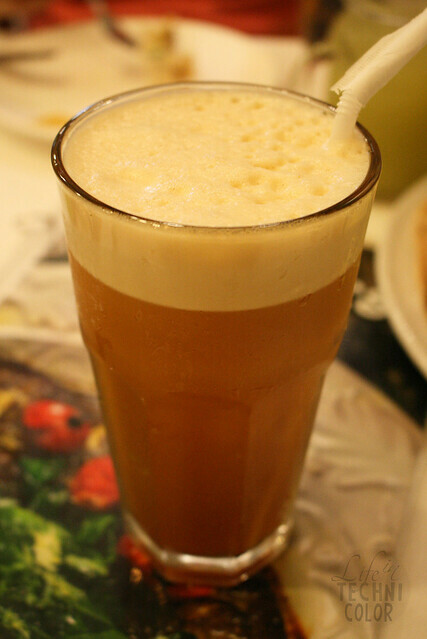 It's a dessert that's both warm and cold and downright delicious. It's perfect for those with sweet tooth since everything in it has sugar! I can also imagine eating it with a glass of milk. Yum! 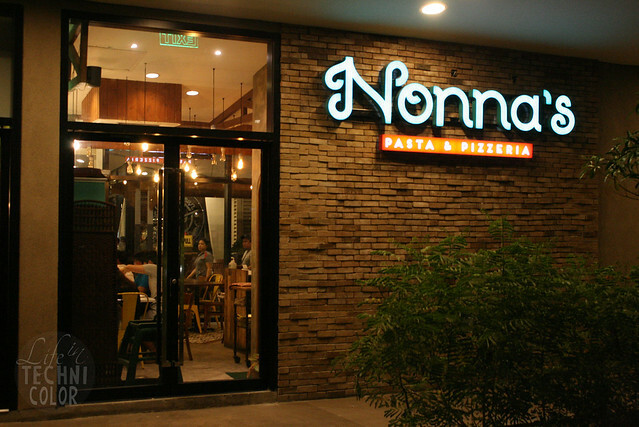 Nonna's Pasta and Pizzeria is located at ground floor, Solenad 3, Nuvali, Santa Rosa, Laguna.